‘We can sleep calmly’ – says Michal Listkiewicz. ‘They will not take away Euro from us” – added Mirosław Drzewiecki, the minister of sport. Both of them were right. 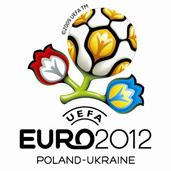 Now, during the debates in Bordeaus, The Executive Committee of UEFA confirmed that the Europe championship will be organized in 2012 by Poland and Ukraine. The fact that we have Euro has been confirmed today by the Executive Committee of UEFA in Bordeaux. However, the activists warned that both countries has to accelerate preparatory works. UEFA had more claims for Ukraine – the Executive Committee has been dealing with the matters of preparation of our neighbors for four hours. Poland has not got so much time. “If someone is polite, you do not have to look after him/her” said in the morning Mirosław Drzewiecki. As it seems, the minister was right. Michael Listkiewicz, together with Grigorij Surkis, the president of the Ukrainian Union, showed UEFA the report from preparations for Euro. “During the meeting the speculations of the world press about the assumptions that Poland wanted to organize Euro 2012 with another country was denied.